The leadership team election is now underway! Please click on the link below to cast your vote for the next team who will lead the GLMA Nursing section. Once you click on the link, there will be another link to read the biosketches and personal statements for the nominees. The ballot will only take a few minutes to complete. The ballot is for current GLMA Nursing members only. Please cast only one vote! The ballot will close on August 7, 2015. Since the GLMA Nursing Section was established at the GLMA conference last fall, a number of our members have laid a foundation for moving forward with several important action projects. After all, we are nurses – we get things done! One of our achievements during the past year was preparing the Workplace Climate Scale Project, which provides a tool for nurses to use to overcome homophobia and discrimination in the workplace using a positive approach that defines characteristics of an LGBTQ-affirming workplace environment. The Patient Care Workgroup has produced a poster that can be used in break rooms and units to highlight LGBTQ inclusion in their care. At the Summit, the Education Workgroup will begin the work of LGBT Competencies for Nurses, similar to what AAMC did, They have a representative from AAMC to help strategize and move forward! The Research workgroup has a number of projects underway, including a plan to evaluate the Workplace Climate Project. The Policy workgroup will continue their project to work with nursing organizations to develop LGBTQ anti-discrimination policies. Each of the workgroups developed specific goals that they will be building on during the 2015 Summit! To learn more, visit the Workgroup page on our web site and follow the links to each of the workgroups. If you can be at the Summit, you will be able to join a workgroup in person. If you cannot be there, each workgroup page has a contact form so you can be in touch with the workgroup leader now, and be part of the action! Education workgroup planning an important Summit agenda! Caitlin Stover, the leader of the Education Workgroup, let me know that they will begin the work of LGBT Competencies for Nurses, similar to what AAMC (Association of American Medical Colleges) did. Caitlin has a representative from AAMC coming to help strategize and move forward with … she will co run the session with Caitlin! Plan to be there if you can! If you want to be sure to connect with this initiative (even if you cannot come to the Summit) send a message using the contact form for the Education Workgroup! The GLMA organization is soliciting self-nominations for the Health Professional in Training (HPIT) position on the Board of Directors of GLMA: Health Professionals Advancing LGBT Equality. The one-year term begins in fall with opportunity for a one-year renewal. Diverse students/trainees from all health professions are encouraged to apply. The GLMA HPIT Member is the HPIT voice and advocate of GLMA. The HPIT Board Member is responsible for co-chairing the HPIT Committee, which is tasked with addressing issues important to HPIT members including HPIT content at the annual conference, mentorship activities, and curriculum and climate at health professional schools. The two HPIT members fully participate as directors of the organization. To meet these and other goals, the HPIT Board Member works closely with GLMA staff, fellow board members, and other organizations. Applications should be sent to James Lehman (james.lehman@uwalumni.com) with the subject “HPIT application”. To learn more about the GLMA HPIT Board Member position, contact James Lehman. Sneak Preview of the Nursing Summit Agenda! Improving LGBT services at your academic institution.. Even if you cannot be there in person, stay connected to this blog to stay connected to your LGBTQ nurse colleagues! And pass along the information to your friends and colleagues. We don’t need large numbers to be effective, but we do want to make sure that every single nurse who has yearned for, imagined, or even despaired that there would ever be such a group, knows about GLMA nurses and has the opportunity to connect to what we are doing! Greetings from Chair-elect Michael Johnson! 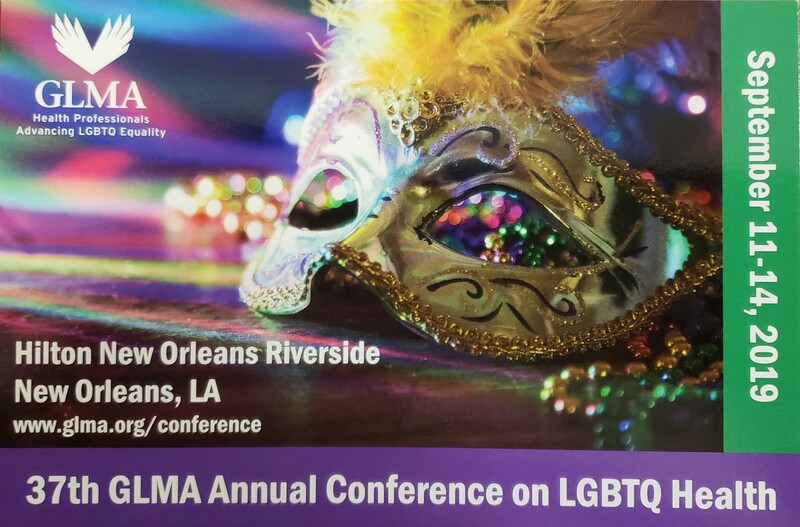 The GLMA Nursing section, also known as Nurses Advancing LGBT Health Equality (NALHE), will be moving in to its second year! We are soliciting self-nominations for the next leadership team, including Chair-Elect, Recorder, Budget Officer, and Student/Health Professionals in Training (HPiT) Representative. The GLMA Nursing section is the first-ever organizational home for LGBTQ nurses, students, and allies. The section leadership team and members have done great work, and we are excited to see what advances the next leadership team will make! The purposes of the GLMA Nursing section are to: 1) Facilitate the development and implementation of specific actions to advance LGBTQ health issues within nursing practice, research, education and organizational policy; 2) Strengthen and support the involvement of nurses and nursing students within GLMA as a whole; and 3) Provide an organizational home for LGBTQ nurses, students and allies, something that has never before existed. After the self-nominations are received and compiled, an electronic election will be held. All of the nominees will be informed of the results in early August. I am very proud of all the recent developments in marriage equality and the ACA. As a result of this, I have been asked to write an article titled “Introduction to the LGBTQ Community”. I am wondering if you can share with me or refer me to articles that deals with the general history of LGBT movement (one questions: when was the acronym first used?) and the health care professions response to LGBT health issues.